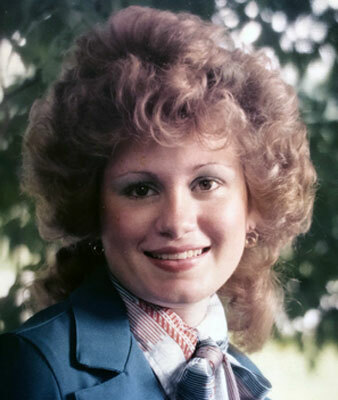 BOARDMAN - Prayers will be held Friday at 10:30 a.m. at the Higgins-Reardon Funeral Homes, Austintown Chapel followed by a Mass of Christian Burial at 11 a.m. at the Immaculate Heart of Mary Church for Kismeth J. McMillen, 57, who passed away Thursday at Park Center in Boardman. She was born April 30, 1961, in Youngstown, a daughter of the late William McMillen and Betty (Finley) Mendzala. Kismeth was a 1980 graduate of Austintown Fitch High School. She served her country in the U.S. Navy. In the 1980s, she was a nurses aid for the Little Forest Medical Center. Kismeth was a devout Catholic and a member of the Immaculate Heart of Mary Church. When she lived in Florida, she was involved in various clubs. In her younger years, she enjoyed water skiing, camping, playing horseshoes, and throwing the frisbee around. She also enjoyed going on walks and shopping. Kismeth is survived by her three sisters, Tammy (Mike Corrigan) McMillen of Arizona, Tamara (Raymond “Ed”) Zedaker of Hubbard, and Irene Calvin of Boardman; a brother, Steven (Kelly Hayes) Mendzala of Boardman; a niece, Rachael Zedaker; and a nephew, Dean Calvin. She was also preceded in death by her grandparents, John and Frances Weber and her grandfather and grandmother McMillen. Family and friends may call Thursday from 6 to 8 p.m. at the funeral home. In lieu of flowers, material tributes may take the form of donations to the Immaculate Heart of Mary Church, 4490 Norquest Blvd., Austintown, OH 44515.